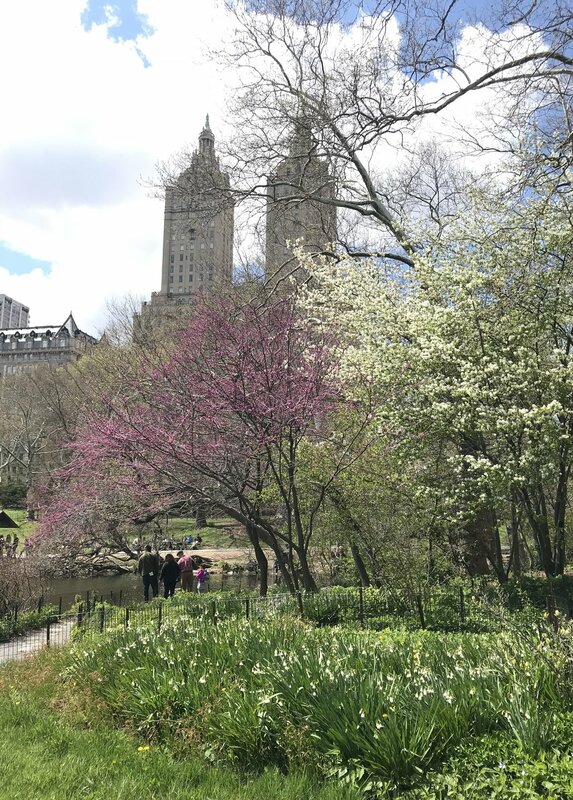 After months of a snow covered New York, Spring has FINALLY arrived in full force. Thank goodness!! Winter here is best described as hibernation. It's cold, gloomy and requires five layers of clothing just to leave your apartment. New Yorkers are ditching their winter coats and snow boots for shorts and iced lattes. And slowly coming out of their apartments to enjoy the Spring air & blooms. That also means cafe season is upon us. And happy hours are commencing all over the city. 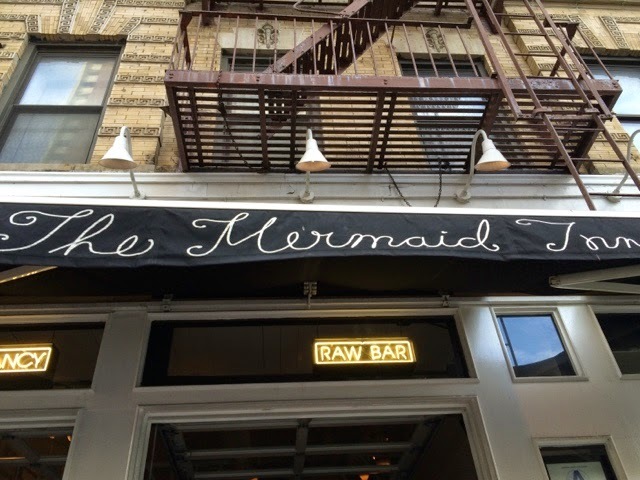 Mermaid Inn is one of my favorite places for happy hour. They have a great wine list and offer $1 oysters. I think SPRING is quickly becoming one of my favorite seasons in the city.